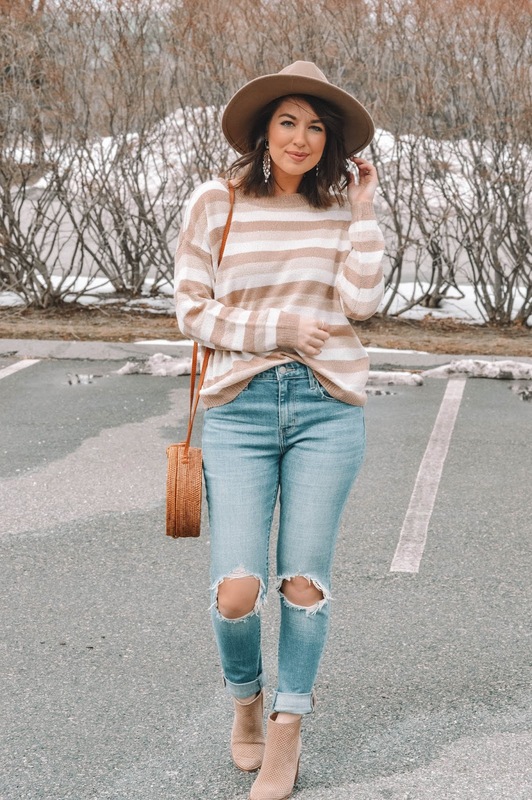 Rosy Outlook: Spring Stripes + FF Link-Up! 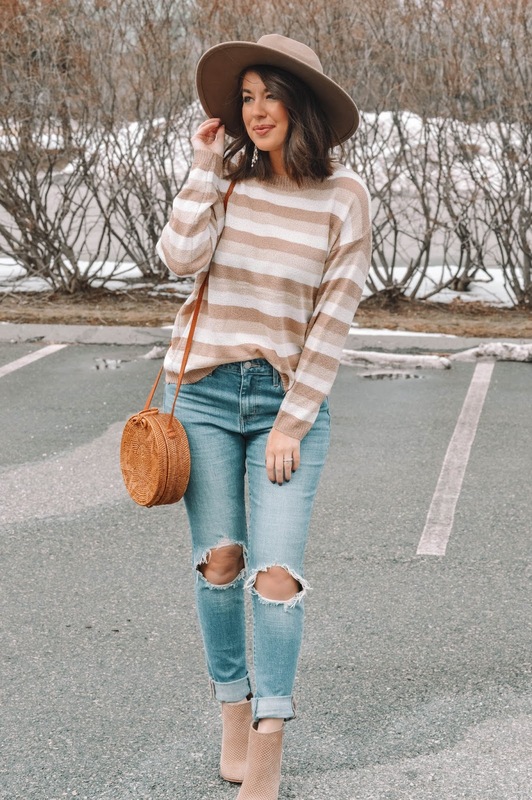 Spring Stripes + FF Link-Up! Happy Wednesday loves! Hope you are having a great week so far. We have so much going on right now that I can't even tell y'all--it has been a crazy month or two! I'm excited for the weekend because Steven and I are going to celebrate my birthday by going to the Boston aquarium and then we're going out to eat at Row 34. I've been wanting to try it for so long because I've heard awesome things about their lobster roll but we wanted to wait for a special occasion to go. 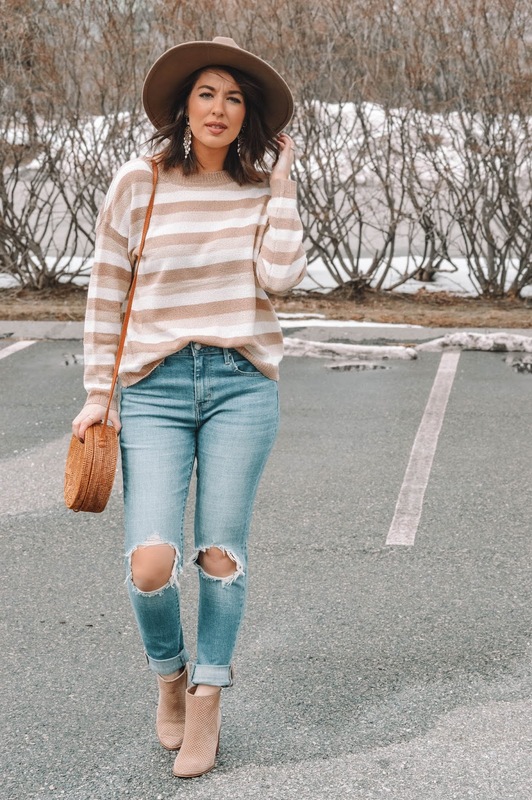 I have been living in lightweight sweaters like this and will continue to do so as the weather warms up! I love anything striped and these stripes are neutral perfection. I love the hat too!! It's such a great way to add more fun to an outfit. 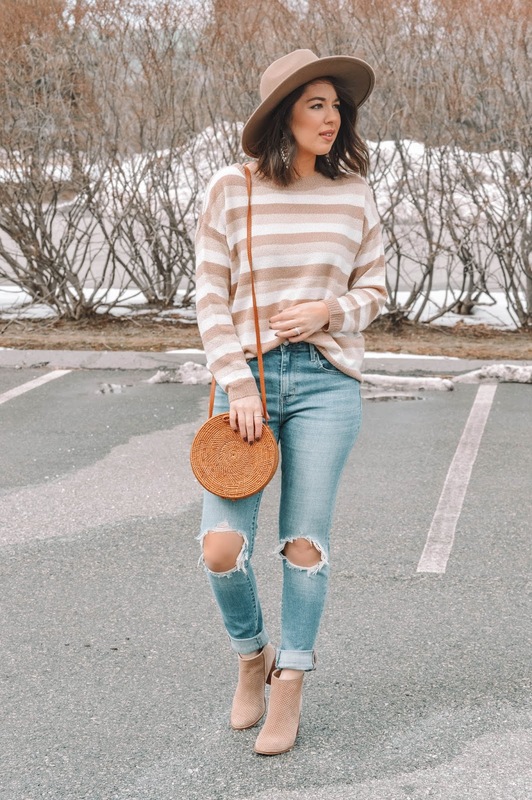 What a beautiful neutral transitional look, your sweater is so pretty! I hope you have a wonderful birthday and enjoy Row 34!! Amazing look! I love the sweater and how the whole outfit came together with the bag, boots, and hat. Super cute look!! I think I have the same bag!! The colours in this outfit are gorgeous! I love the soft caramel tones in your sweater. Definitely a great option for cool spring days! This is really pretty, you do neutrals and camels so well my friend! 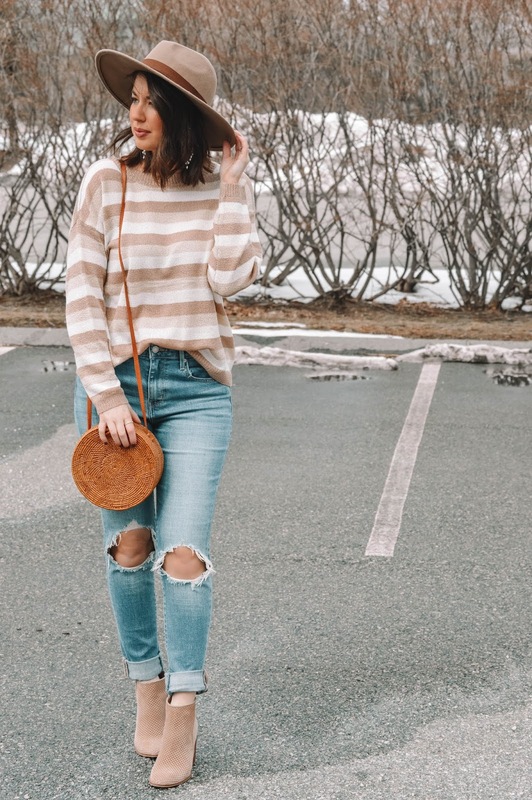 Loving this neutral sweater with the ripped jeans! Perfect for a cool spring day! This neutral look has me swoonin', sista! You are so cute! I love all the neutral tones! Such a cute outfit. LOVE the sweater and hat! Happy early birthday! Enjoy your weekend. Love the striped pattern but that it's also a neutral. Such a cute sweater!